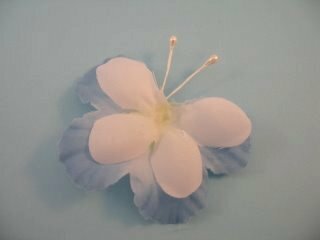 Got lots of flower petals and don't know what to do with them? Making Butterflies could be the answer. 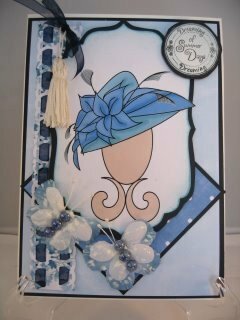 Sometimes a card just needs that little bit extra and maybe....just maybe you are bored with adding flowers !!! 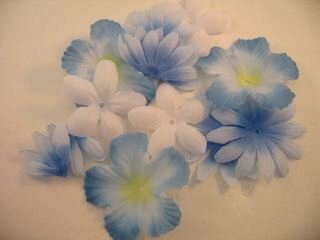 Did you buy a box of petals to make up your own flowers and now you have lots left and don't know what to do with them. This could be the answer for using them up and will give you something a little bit different. 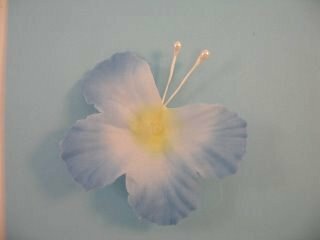 I bought a box of these petals when they were on sale in my local craft shop and they made up into lots of flowers for my cards. But then I wanted to try something different with them. Playing produces many new ideas and this is one I want to share with you, and is a simple way to create the butterfly. You will need a small circle to hold things together. It won't be seen so just cut it freehand. One set of stamens for the antenea. Some pearls, gems or flowers to add to the centre as the body. 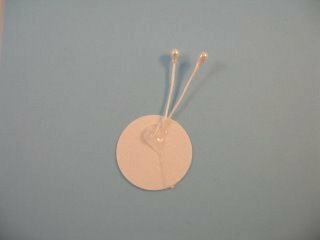 Fold the stamens over to produce two antenea, and glue in place on the edge of the circle. 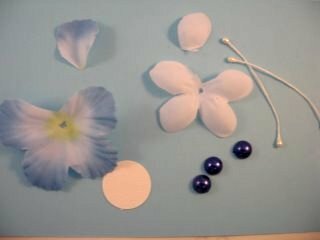 Take the largest of the petal shapes and glue it over the antenea so that they are in the "V" from the missing petal. 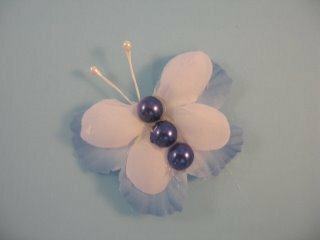 Then take the smallest of the petal shapes and glue it over the top lining up the "V"
Using a strong glue add the pearls, flowers or gemstones that you are using to make the body, and set aside to dry. You can glitter them up if you wish and once they are dry they can be added to your designs to make a really pretty addition. Raid your stash and use up odd and ends of embellishments. 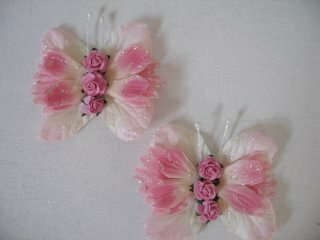 I have added two glittered butterflies to my card for a lovely effect, using Pinflair Glue Gel. 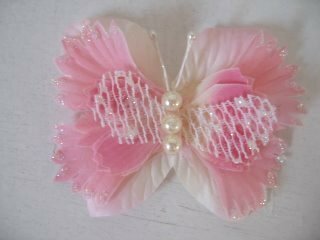 These lovely pink butterflies have had small roses added to the centre for the body and the wings have been sparkled with Glamour Dust. This one has the addition of pearls and a piece from an old lace tablecloth. 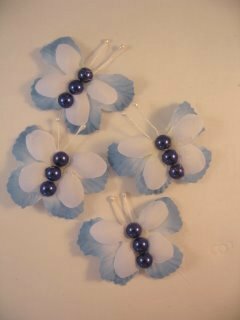 Making Butterflies is therapeutic and they can be stored ready for use whenever you want to add them to your cards.